Those "in the know" have called Croatia "Europe's camping destination number one". The country boasts diverse landscapes, a thousand islands and islets, peninsulas and bays, all making Croatia magnificent and idyllic. Croatia is the place to enjoy days under a clear blue sky and warm nights under a starry sky, as if this country was made just for camping. At the same time, all modern amenities are but a stone's throw away. Nearly 90% campgrounds are situated along the Adriatic Coast, or on islands, with the remainder located near lakes and rivers. 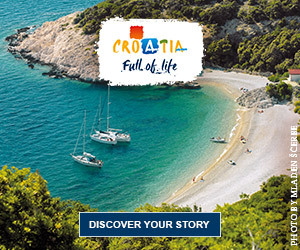 Camping is one of the most popular form of accommodation in Croatia and more than quarter of tourists visiting Croatia stay in camps and campers are always eagerly received as guests on our coast. 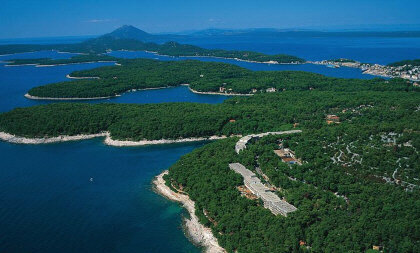 Today most Croatian campsites are privately owned, resulting in more diverse and higher quality camping facilities. Commercial competition has been advantageous for campers. In the more recent times, the possibility of accommodation rental within campsites further raised the level of Croatian camping: many camps will have mobile-homes and a number of larger campsites also have bungalows, apartments and rental villas. The most developed regions in terms of the number of campsites, capacity and quality of service are Istria, Kvarner and its nearby islands, while Dalmatia is the most attractive part of the country due to its nature, combined with its diverse coast. Most campgrounds are located along the coast within easy reach of the beaches. People from all walks of life can find their made-to-measure campsite from Istria to Dalmatia, from holiday parks - large camping villages with their dynamic and cooperative atmosphere, to small family-run campsites where each guest's individuality and privacy are respected and appreciated. Campsites quality, on the whole, corresponds to European criteria, particularly concerning availability of space and facilities and camping prices are among the most reasonable in the Mediterranean. It must be mentioned that camping outside of designated camping areas is prohibited by law - this rule corresponds to those in other tourist areas in Europe. Concerning campsites' facilities, campers can frequently find swimming pools, playgrounds, countless sports, organized courses and lessons in riding, sailing, surfing, skiing, scuba diving, mountaineering, as well as instruction in carving, pottery and so on - Croatia is bringing all these options up to European standards. Campgrounds in Croatia have become a trademark for a large number of "contemporary nomads", as well as for active young families and pensioners who want to get closer to nature. Campers can enjoy many excursions, touring unique natural phenomena such as the Kornati archipelago ("a mariner's heaven on Earth"), the one-and-only Plitvice Lakes, Paklenica National Park, the famous jet-set Brijuni Islands, the green island of Mljet, and more. Recommended for their urban, monumental, archeological, sacral and other interest to campers, should they be in the neighbourhood, are the Euphrasian Basilica in Porec, the Arena in Pula, the city of Trogir, the town of Rovinj, Diocletianus Palace in Split and the historical city-state of Dubrovnik, which are all on UNESCO's list of world heritage sites. Lets not forget to mention Croatian cuisine, profuse in aroma and flavour, which offers fine dishes from seafood to gourmet specialties, both national and international, accompanied by excellent wines.